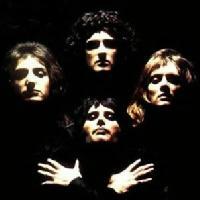 Queen were an English rock band which formed in London in 1970. The band consisted of Brian May (guitarist), Freddie Mercury (singer), Roger Taylor (drummer), and John Deacon (bass guitarist). The band stood out for their musical diversity, vocal harmonies and overdubs, and the participation of the audience during their concerts. Queen became successful in the United Kingdom in the early 1970s with the albums Queen and Queen II, but with Sheer Heart Attack in 1974 and A Night At the Opera the following year, the band gained international success. Vote and help decide which of Queen's albums were their greatest.